We are engaged in the manufacturing and exporting ofÂ Stainless Steel Buttweld Fittings. 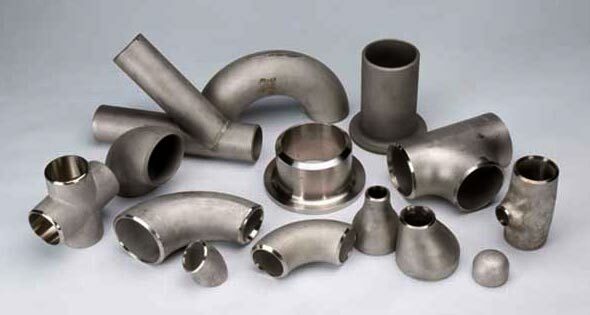 The range of our Stainless Steel Buttweld Fittings comprises Reducing Elbow, Equal Tee, Unequal Tee, Crosses, Concentric Reducer, Eccentric Reducer, Long Stubend, Short Stubend, Collar, Pipe Cap, Nickel Alloys Buttweld Fittings Duplex Steel Buttweld Fittings Inconel Buttweld Fittings, Monel Buttweld Fittings etc. The entire range of these fittings is manufactured using quality approved stainless steel under the strict vigilance of experts. These fittings are tested on various quality parameters prior to their final dispatch.